Gold glitter need not be over-the-top and these frames make the point in a refined and elegant way. Use them at your next event as table number holders, offer them as favors and use them at home to frame a special sentimental photo. 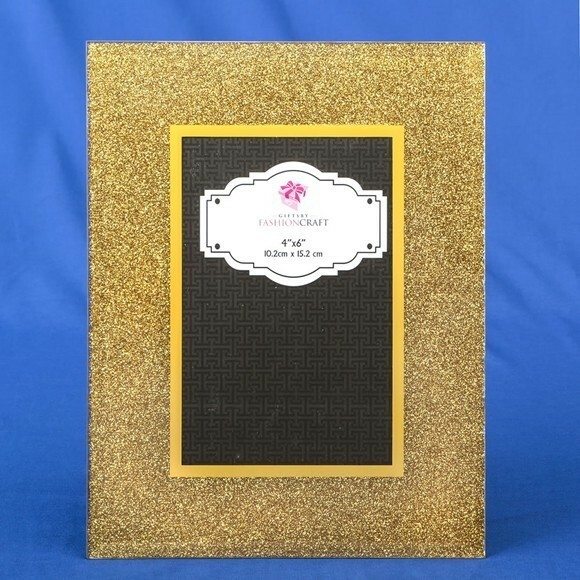 Each frame is made from glass and features a wide beveled border with a gold glitter finish. It can be used horizontally or vertically and holds a standard 4 x 6 photo horizontally or vertically. Each comes packaged in a white box.